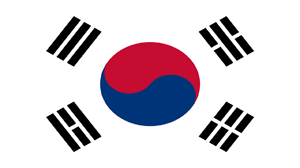 Binary options trading in South Korea is gaining traction fast with the populace there. This is coming at a period when online trading in Asia is hitting levels not seen in many years. South Korea’s benefit is North Korea’s loss. While its Northern neighbours are totally locked out of the financial market system worldwide, South Korea is experiencing a boom in online trading. Let’s explore the prospects for you the Korean retail trader. South Korea has in the last 60 years, transformed from a poor nation to become one of the world’s most industrialized countries, so much so that its currency, the Won is listed as one of the top emerging market currencies. Starting from 2006, the South Korean government embarked on a program of rigorous liberalization of its currency and financial markets. So what has been the state of binary trading in South Korea? Even though the government is in favour of liberalization, its regulatory agency (the Financial Services Commission), does not have a favourable outlook towards retail offering of derivative products such as forex and binary trading. Many South Korean traders are therefore forced to do their thing with offshore brokers. Even though there are a few brokers in South Korea, their activities are severely limited and they are restricted from promoting their products to the public because of the FSC’s view that these are extremely risky assets to trade in. This accounts for why many South Koreans are using offshore brokers in Japan and other countries. The environment for binary trading in South Korea is not very conducive for traders. It is virtually impossible to get local brokers to do business with, and foreign exchange restrictions also put limitations on what offshore brokerage firms you can work with. This means that you need to be able to choose one who will be able to allow you work within the existing restrictions. In 2011, the predecessor of the FSC started a process of restricting how Koreans could participate in forex and OTC instruments (of which binaries is a part of). This has practically made it difficult to trade binaries with South Korean entities. In order to deposit funds to start trading in South Korea, traders have to use the following payment methods. Some methods are universally accepted, while some will only work with a few brokers. Bank wires: It is possible to use bank wires to deposit funds with brokers. However, these are subject to foreign exchange transaction limits. Foreign nationals living in South Korea can only wire up to $50,000 a year. Foreign nationals are also barred from using online banking. Currency exchange beyond $1000 must be done in banks and not at exchange locations, and this applies to locals and foreign nationals alike. Multiple bank account holders are required to declare to the authorities which specific bank they will use for all bank wires so that these can be monitored. Credit/debit cards: There are some restrictions on card transactions which will involve overseas merchants (such as trading platforms). Traders in South Korea must go to their bank and request for “International Access” debit cards which will be linked to their local bank accounts before they can use them on trading platforms. Not all brokerage firms will accept the use of these cards on their platforms. PayPal is fully compliant with South Korean bank accounts. Traders can therefore use their South Korean bank cards on the PayPal platform. However, few brokers offer PayPal as a means of transaction, so this is not a universally accepted method. E-wallets: It is possible to make deposits using the international digital wallets such as Skrill, Neteller and Webmoney. Digital wallets are not very common in South Korea, and the few that are available cannot be used for binary options deposits. Therefore, traders will have to use the international digital wallets if they seek to use this method for transactions. Is it legal to trade binaries in South Korea? While there is actually no law banning the trading of binary options in South Korea, it is definitely not being accorded full acceptance by the South Korean regulators. Those who want to trade in South Korea must use offshore brokers for unhindered activity. Are binaries regulated in South Korea? All financial services and markets, including forex and OTC (binary options) trading is regulated by the Financial Services Commission, known locally as the FSC. How to trade binaries in South Korea? Local brokerage activity for binary trading in South Korea is highly restricted. In order to perform binary options trading in South Korea, you must create a trading account with an offshore broker. You must also conform to foreign exchange control regulations to be able to transact freely with your brokers.